R&W Rope's Electroshock must be seen to be appreciated. 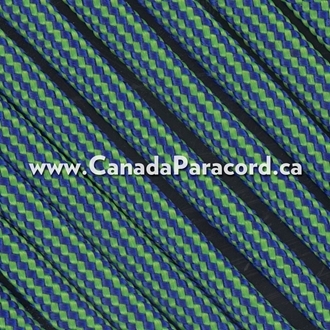 The green and blue stripes create a bit of an optical illusion in that the cord appears to change colour when looked at from different angles. 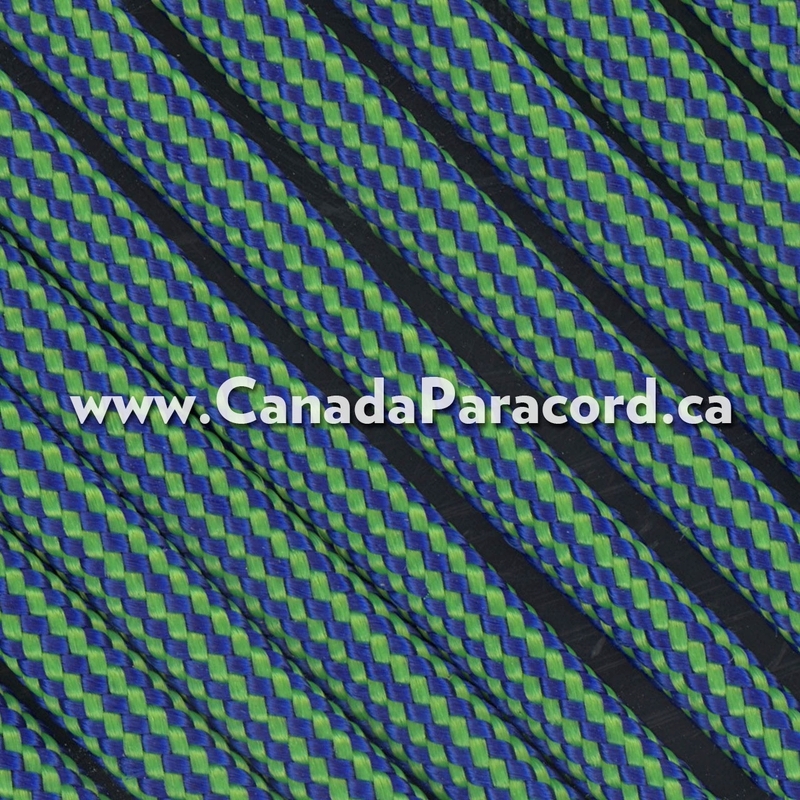 This 1,000 feet of 550 paracord is a commercial version of Type III military spec parachute cord. Made in the USA, it contains 7 strands in the core. This cord has a tensile strength of 550 lbs.